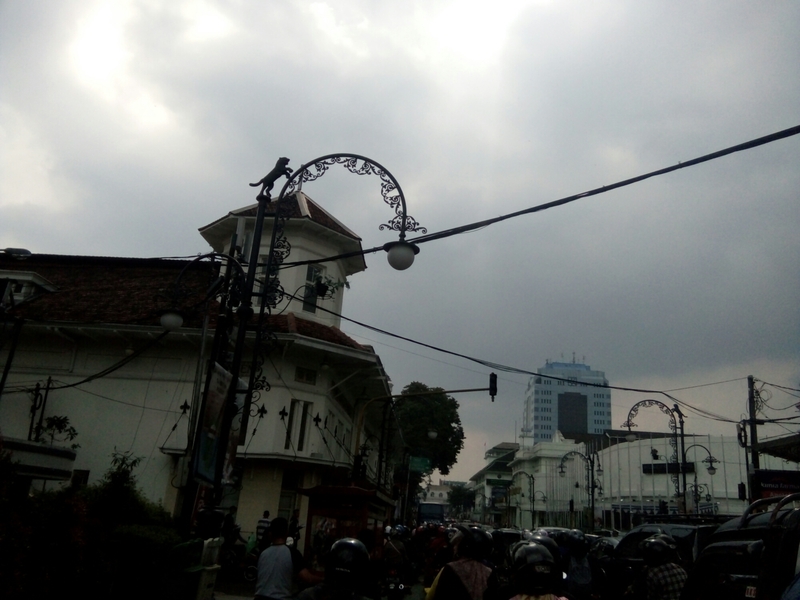 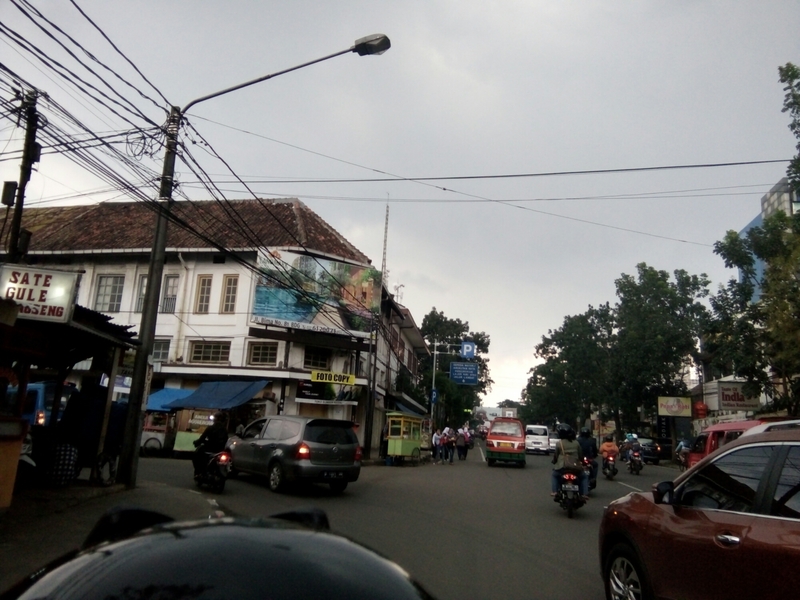 During the day at the time, a collection of thick clouds blanketed the city of Bandung. 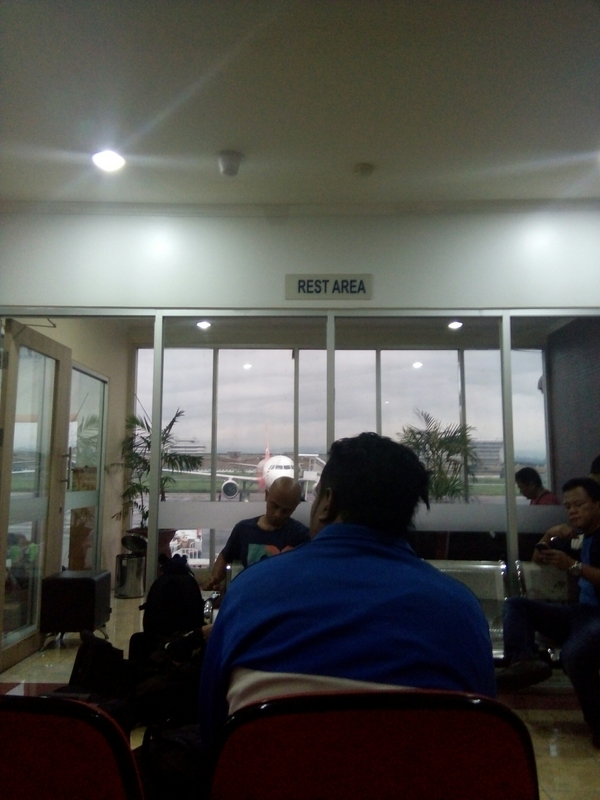 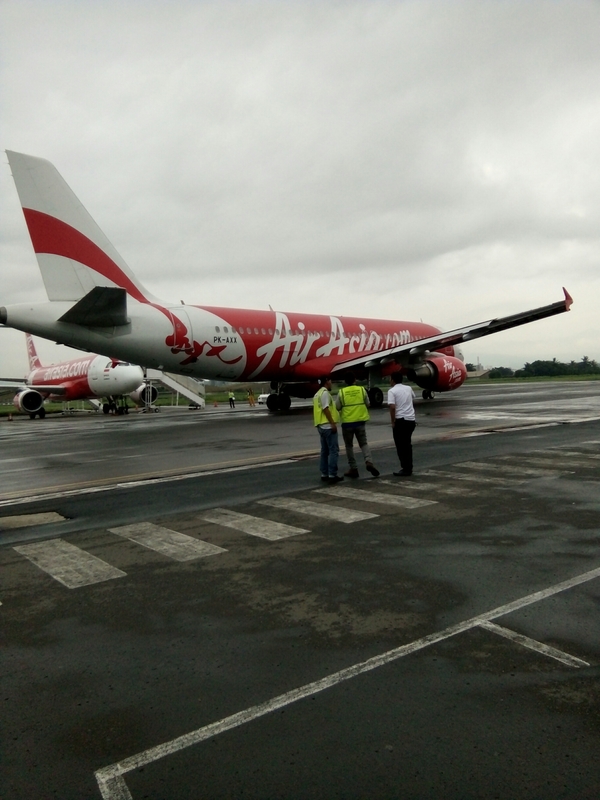 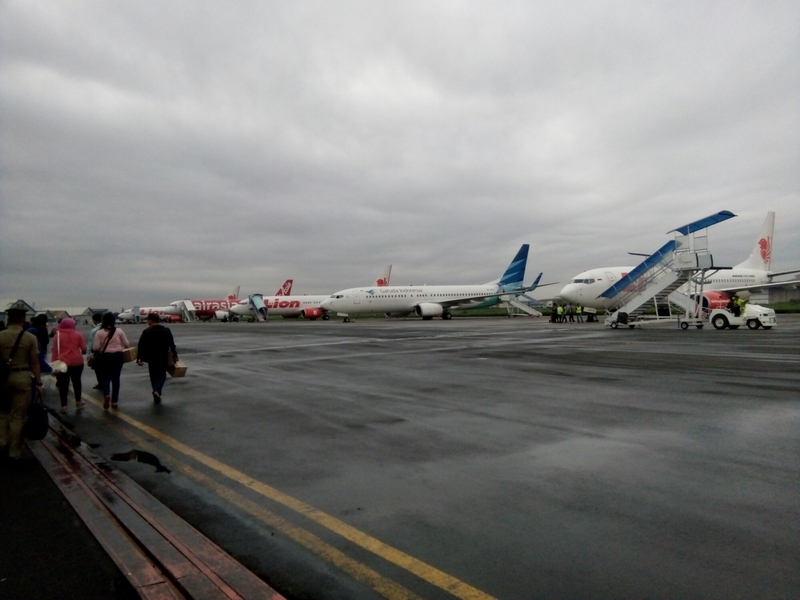 A breeze seemed to follow me to Husein Sastranegara airport. 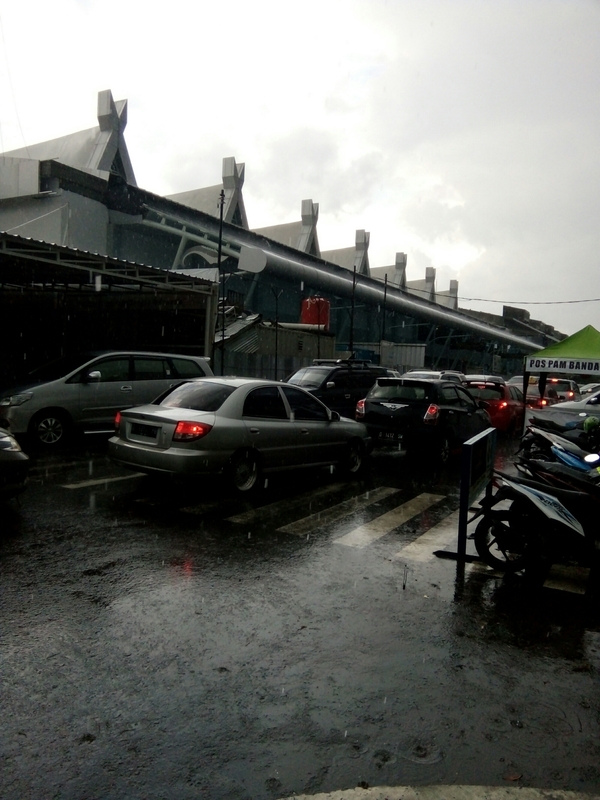 My little heart said, “It would have a big rain.” However, my plan was to travel was made, “I have to leave Bandung today!”. 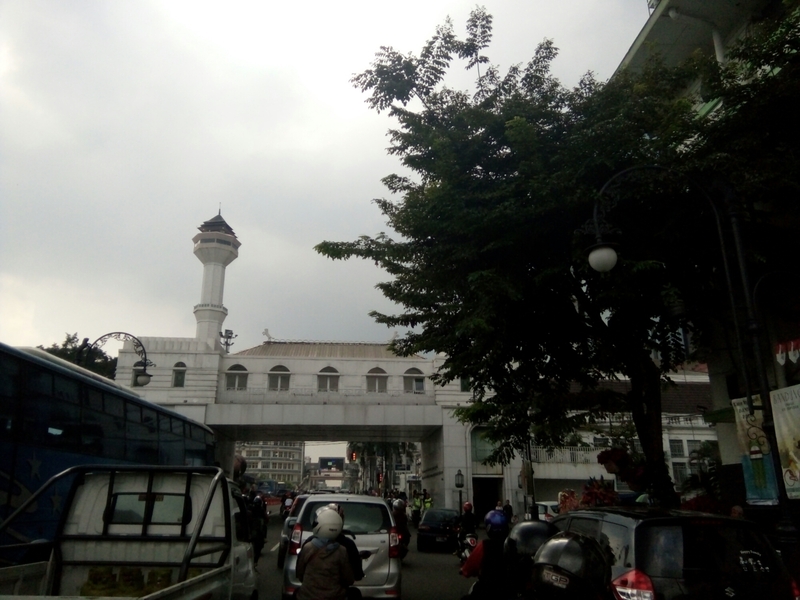 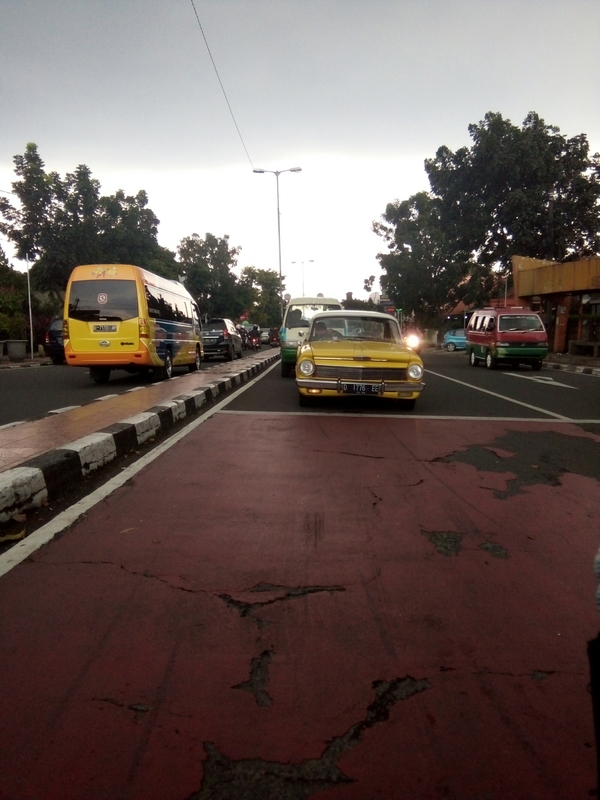 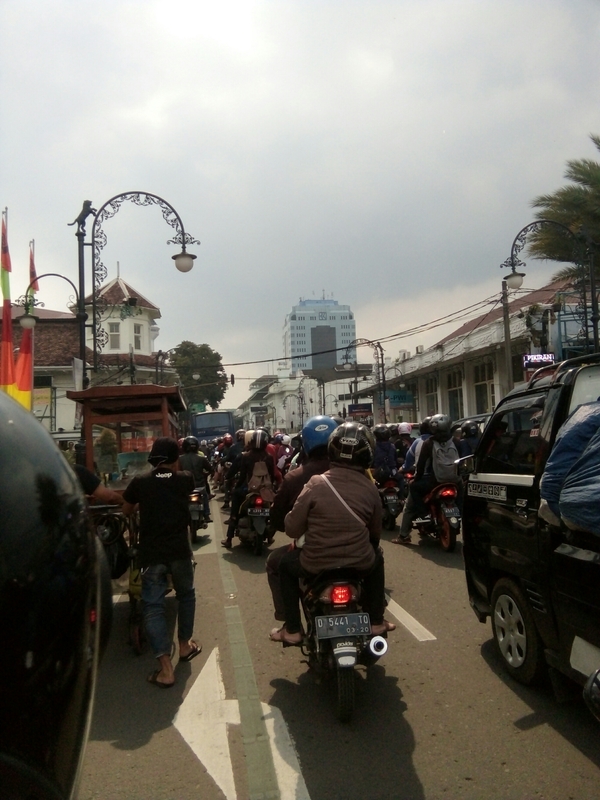 In the bustle of Bandung city congestion, motorists rushed in motion, I record the moment towards the Husein Sastranegara Airport. 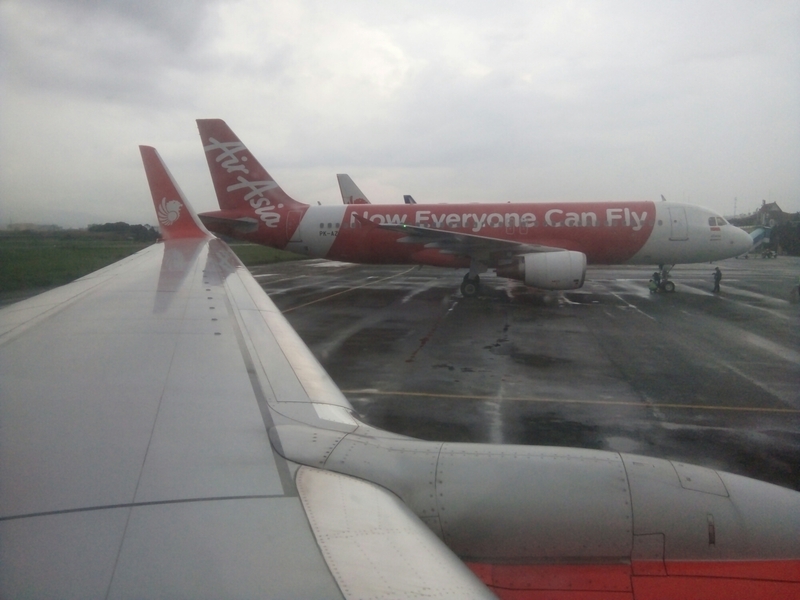 Liputan singkat dan padat. 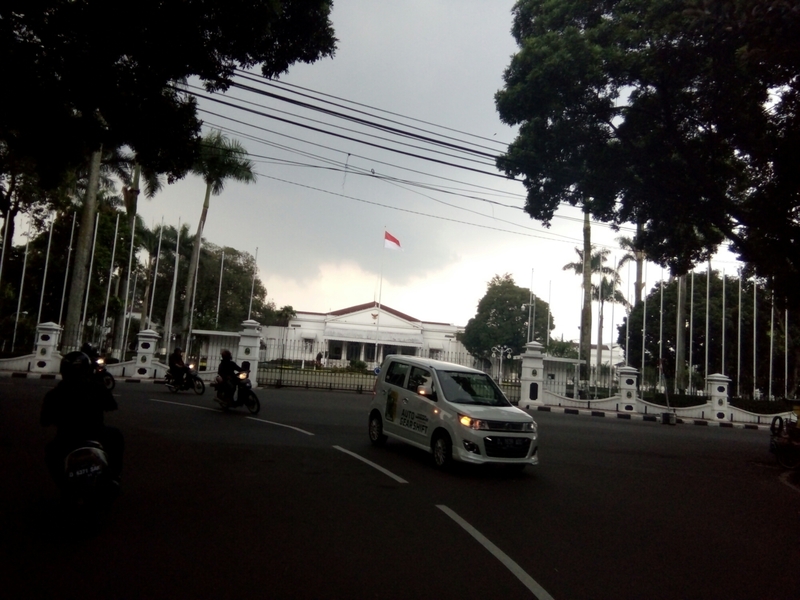 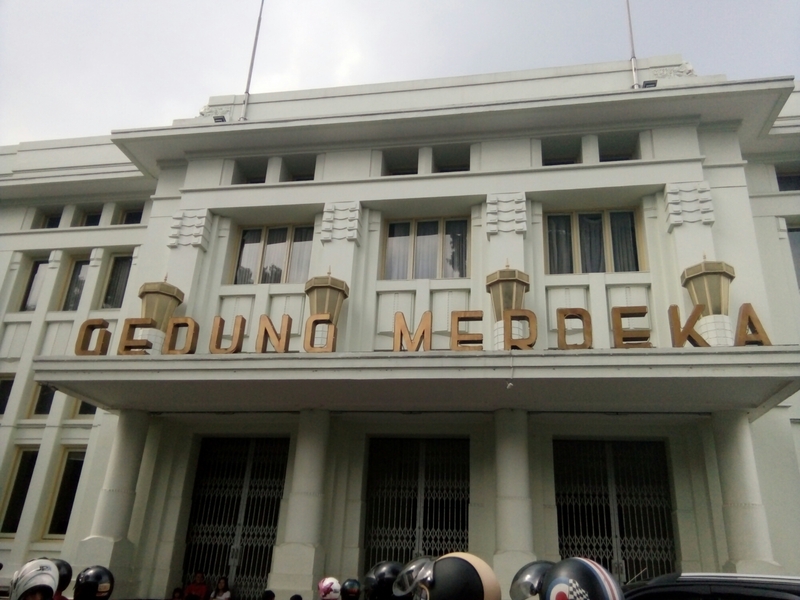 Foto foto yg bagus. 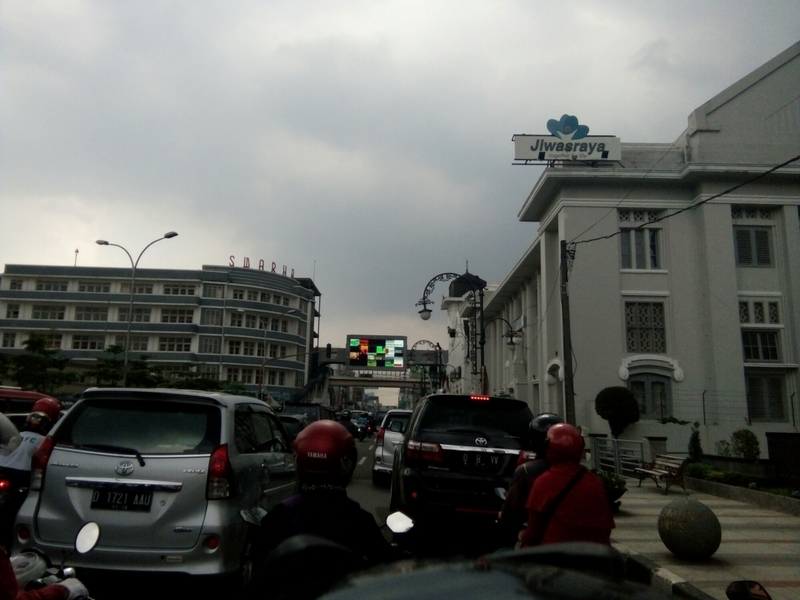 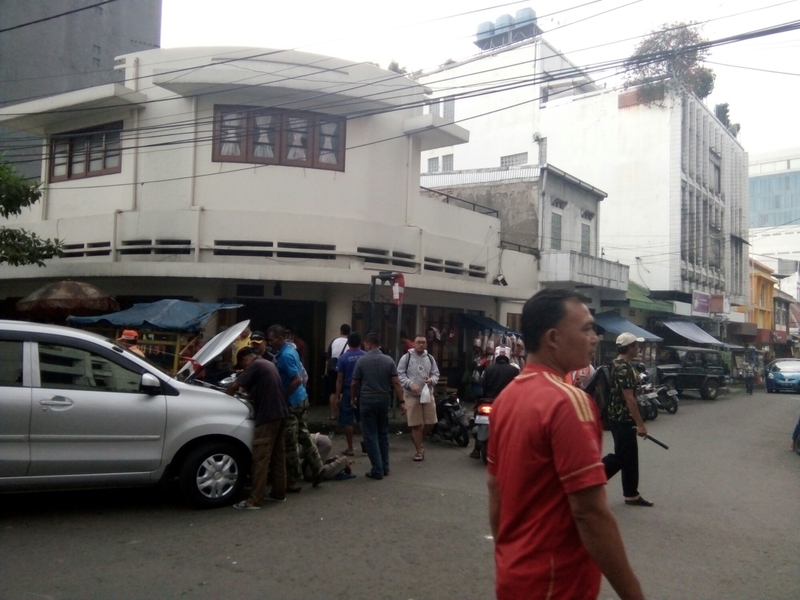 Traffic jam, heritage Architecture, antique car, semuanya ada. 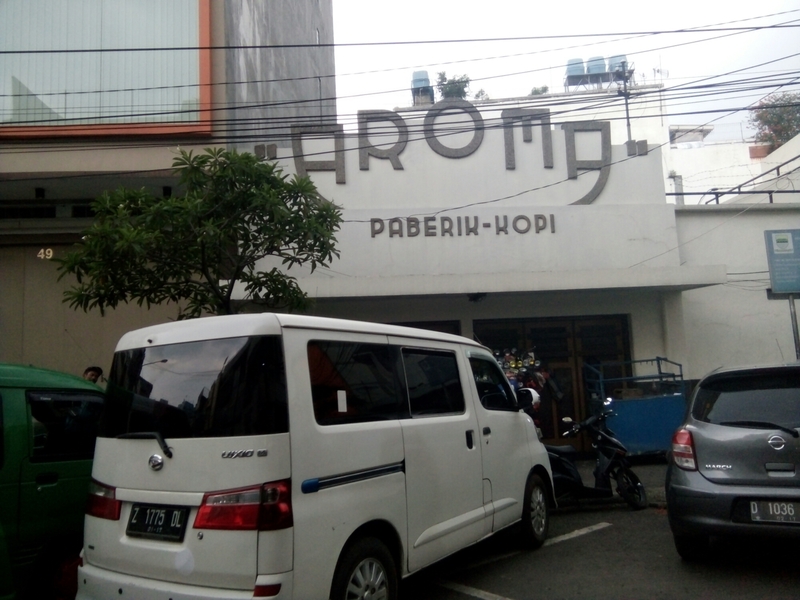 Termasuk pabrik kopi Aroma.